TaylorMade are never short when it comes to innovation. That reputation continues today as they announce the arrival of their next iron, the SpeedBlade. 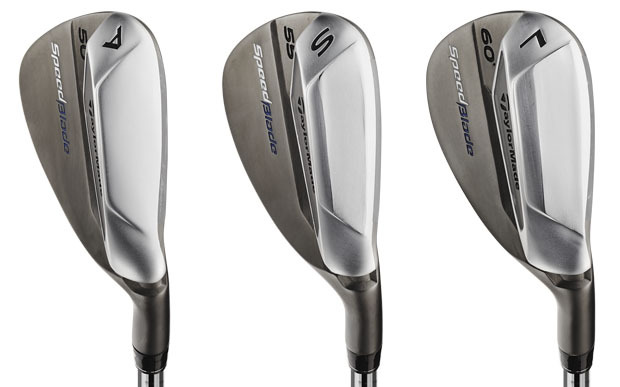 Like the RocketBladez, the key technology in the new SpeedBlade iron is the Speed Pocket, featured on the 3 to 7 iron. 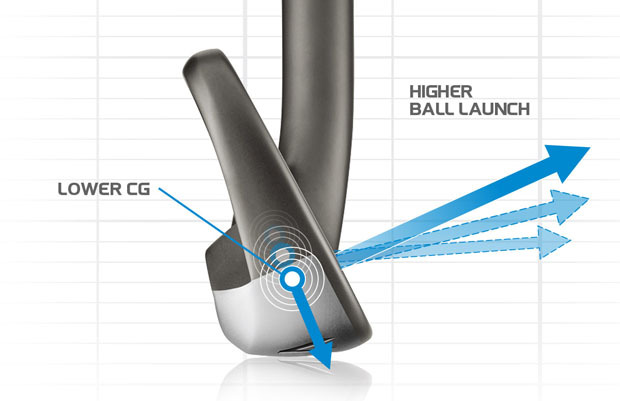 The handle-bar shaped slot in the sole of the irons allows the face to flex at impact, increasing ball speed and launch. “The Speed Pocket performs where golfers need it most,” said Brian Bazzel, TaylorMade’s Director of iron, wedge and putter development. TaylorMade's research found that over 70% of shots hit by golfers with a handicap between 5 and 25, are struck below the center of the face. This type of strike typically results in lower launching, inconsistent shots. The SpeedBlade is specifically designed to improve those shots. The latest Speed Pocket has been lengthened by 3mm, and widened into the new "handle-bar" shape. In addition, the new iron features a several through-slots located inside the pocket. These slots provides even more flex in the face at impact. 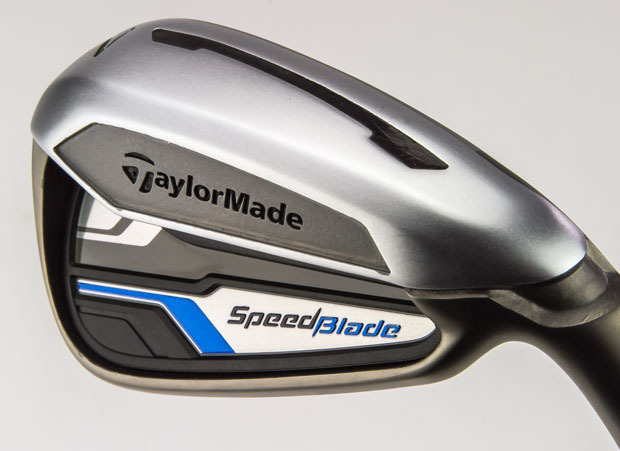 Add it all together, and TaylorMade say the SpeedBlade iron has the fastest face they have ever created. As well as a high launch and faster ball speeds, the SpeedBlade's progressive shaping has been has been engineered to offer a performance suited to its role in a golfer's bag. Long irons feature a larger topline to inspire more confidence at address, as well as the new handle-bar Speed Pocket. In addition the multi-material badge design, the polymer material inside the Speed Pocket is designed to reduce vibrations and offer improved sound and feel. As for the short irons, whilst they may not have the new Speed Pocket, they do feature a slender topline and sole to allow players to work and flight the ball more. You may be asking yourself "with all this new distance technology, are these irons not creating more gaps in my set than before?" TaylorMade say no. They have designed the SpeedBlade irons to close the gaps in your set. Long irons are indeed designed to go higher and longer and close the gap between your longest iron and shortest fairway wood, but they have also designed three wedges to prevent distance gaps nearer the green. SpeedBlade Attack, Sand and Lob wedges have been designed with a traditional Tour shape and blade construction to not only fit the eye of a player, but also fit a gap in their bag. The sand and lob wedges feature TaylorMade's ATV (Al Terrain Versatility) engineered to produce better feel, spin and control from a variety of lies around the green. Each wedge has a heavier steel shaft than a standard SpeedBlade iron, to further improve short game performance and consistency. No distance claims this with this iron? Whilst TaylorMade are not making any distance guarantees, they do say the new SpeedBlade 6-iron traveled more than 10 yards farther and 4% higher than the 2009 TaylorMade Tour Burner iron. Why compare to a 2009 iron? Well TaylorMade's 2011 research suggested the average replacement cycle for "core golfer" is 4.9 years. "Five years ago we challenged ourselves to create the best iron we could," said Bazzel. "We've taken everything we've learned since then and created our most complete iron ever in the SpeedBlade."